Meanwhile...Back At The Lab, new studio album available now! 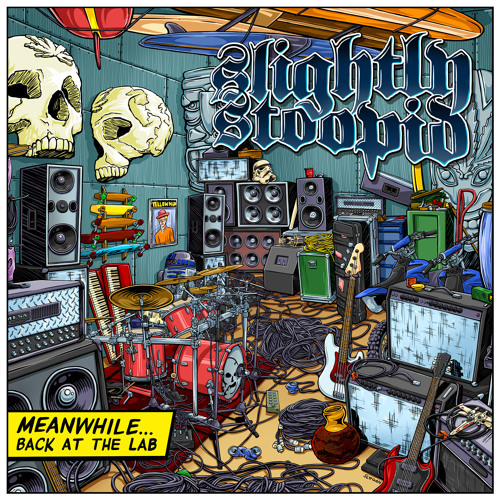 Digital: http://smarturl.it/BackAtTheLab_Digital CD/Vinyl: http://smarturl.it/BackAtTheLab-Bundles Slightly Stoopid are back with their 8th studio album, Meanwhile...Back At The Lab (June 30). The new collection is a 14 song journey across the band's genre-bending fusion of styles and features guests Karl Denson (Greyboy Allstars/Rolling Stones), Ian Neville (Dumpstaphunk) Marshall "Ras MG" Goodman (Sublime), The Aggrolites, & platinum songwriter/vocalist Angela Hunte.